Education should develop the common values needed to enhance the unity and progress of a multi-ethnic, multicultural society. In order to enhance effective learning, students' varied backgrounds should be taken into consideration when designing a curriculum. Clearly, if the curriculum is dominated by the culture of an ethnic majority, and the existence of different ethnic and cultural groups are ignored, the students of non-majority origin perceive themselves to be distinct and may develop antagonistic attitudes toward education, which often lead to failure. In some parts of Turkey, especially the Eastern and Southeastern regions, the majority of the population is of different ethnic origin. Şahin and Gülmez (2000b) studied the efficiency of education and the factors affecting the success of students in both regions. They found that illiteracy in those regions was higher when compared with the other regions, that females received less education, and that secondary school students were less successful in nationwide examinations such as OSS (selection examinations for OYS) and OYS (student placement examinations for university entrance). Ethnic diversity alone is not as effective when maintained by cultural diversity. Therefore, the aim of this study was to analyze the differences in cultural values of students with different ethnic backgrounds. Differences in curriculum and teaching materials were analyzed with regard to the perceptions of those students who identified themselves as ethnically different and not of Turkish origin. 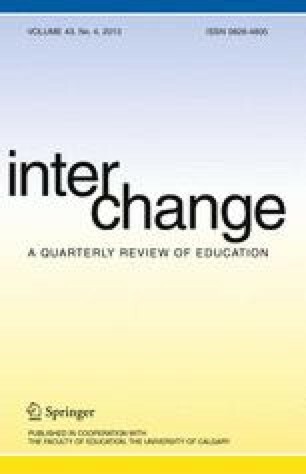 The results of this study indicate that the quality of the school curriculum and text books assessed were significantly different for those students identified to be not of Turkish origin and therefore appeared to be culturally unresponsive, a factor which may lead to the educational failure for many students of different ethnic origins.